One more day. That's what I keep telling myself every time I turn on the television or radio. The noise from the political ads has gotten so loud, and so annoying. Is it just me or do they seem to be gaining in quantity? Over the weekend I counted too many times my husband and I shouted at the TV screen when a political ad came on. We didn't care who the ad was supporting, we just wanted it to stop. The truth is, no matter how much our commercials have evolved and gotten slicker, political ads to me will always be the equivalent of a Hollywood actor proclaiming, "If so-and-so wins, I'm moving to Canada!" It gets your attention, and it's interesting, but there's not a whole lot of truth behind it. Mostly these ads are just a nuisance in the background that don't sway me either way, even when they're using real people. Some are heartfelt ("My wife died of cancer, and it's that guy's fault! "), and some are downright silly ("Welcome, daughter...this is what your life is going to look like if that guy wins...and FYI, it will STINK."). Of course, I'm paraphrasing, but you get the gist. Bill's Barbecue, a Richmond institution. Then I came across this article written about one of Mitt Romney's ads that focused on the former owner of a Richmond food institution, Bill's Barbecue. Bill's Barbecue, for those not in the know, was a chain of barbecue joints that kept Richmond in barbecue, pie, and limeade for more than 80 years. I will say this, right off the bat: I used to love Bill's Barbecue. Whenever we had a half day in high school, my friends and I would head to Bill's where I always got the same thing: A pork barbecue sandwich, no slaw, onion rings, and a lemonade. At the time there weren't a lot of other barbecue choices. Regrettably for a lot of die-hard Bill's Barbecue fans and nostalgia enthusiasts, the owners closed up shop this September. The overwhelming feeling was that it was sad, but it was time for Bill's to go. The political ad Romney's camp put on TV, however, features Rhoda Elliot, the company's owner (and daughter of its founders) talking about how President Obama's policies put Bill's Barbecue out of business. That they just couldn't keep up with "market changes and the high cost of upgrading operations." First, just as the article says, Richmond over the last 5 years has seen its food scene explode. Yes, many restaurants have closed, but many more have opened in their place. Within that boom of new restaurants we've seen more barbecue places open that simply do it better than Bill's: Alamo BBQ, which is nothing but a hole-in-the wall, but so good that people make the trek all the way to Church Hill just to eat there; Buz and Ned's (my personal favorite) who took on Bobby Flay on "Throwdown" and won, and recently expanded their restaurant to a second, hipper branch; and Q's, a simpler operation with pretty good barbecue, and a huge following. Here is my second point about why this ad is false: Those restaurants I mentioned did what Bill's has refused to do for decades - change. The last time I ate at Bill's was the spring right before the girls were born and we were on our way to a baseball game. The place was dirty and dingy, the décor had not changed one bit, the service was sub-par, and the food was disgusting. We could barely choke down our sandwiches. 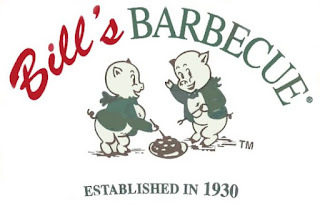 Rhoda Elliot can claim that it was the President's fault, but the truth about Bill's is this: Better operations came along and upped the ante in the barbecue game, and Bill's failed to respond in the market by being smart and changing its ways. Maybe they thought Richmonders would be upset if they changed their institution. Maybe they were just lazy. Maybe they had terrible business advice. But whatever the case, all of it added up to them closing their doors. Richmonders sank their teeth into other barbecue and declared it tastier. I want to explain why this ad, above any of the other nonsense from both sides matters to me. I really, really care about Richmond's food scene. I love that it has grown and gotten recognized nationally, and I want it to continue to grow and shape into its very own tourist attraction. 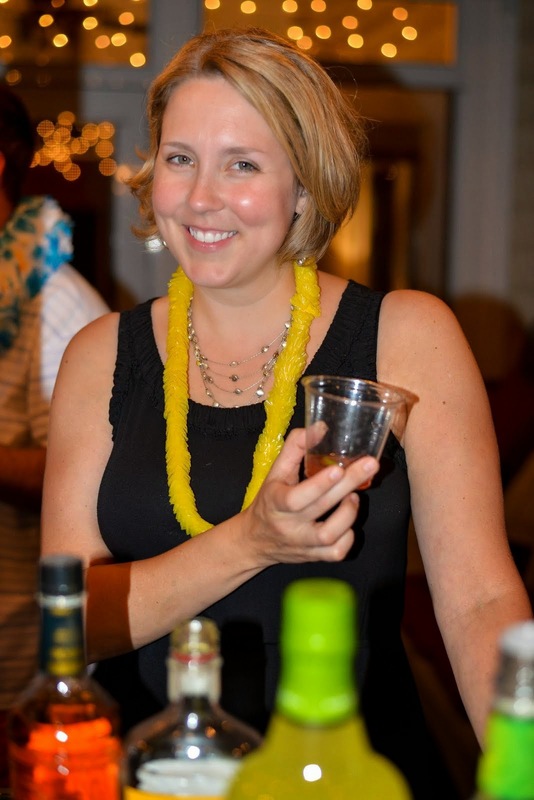 I want RVA to be known as a destination "Food Town." I recently attended a wonderful panel of speakers comprised of Richmond restaurant owners, and they all agreed that while Richmond is very slow to change, and is behind cities like New York City or Austin, we will certainly get there in the near future. The ambition and desire is there. I think we're witnessing that change right now and it's exciting to watch it all happen (and also taste it!). I also really, really care about barbecue. I love it, and am very passionate about it. I hate that Richmond was thrown into the spotlight because of this ad, which is false, and not because of our other non-chain restaurants that are working so hard to make this town a rising star in the food scene. I know politicians lie. They ALL lie, and all their ads are ridiculous. I just wish this one hadn't received so much press when it's so false and involves my town.